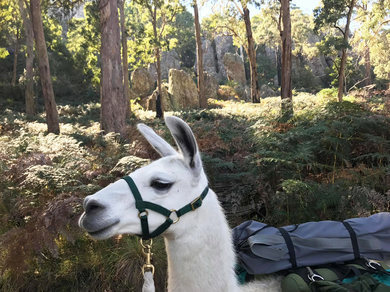 Hanging Rock Llama Treks provides a one of a kind experience with unique animals. 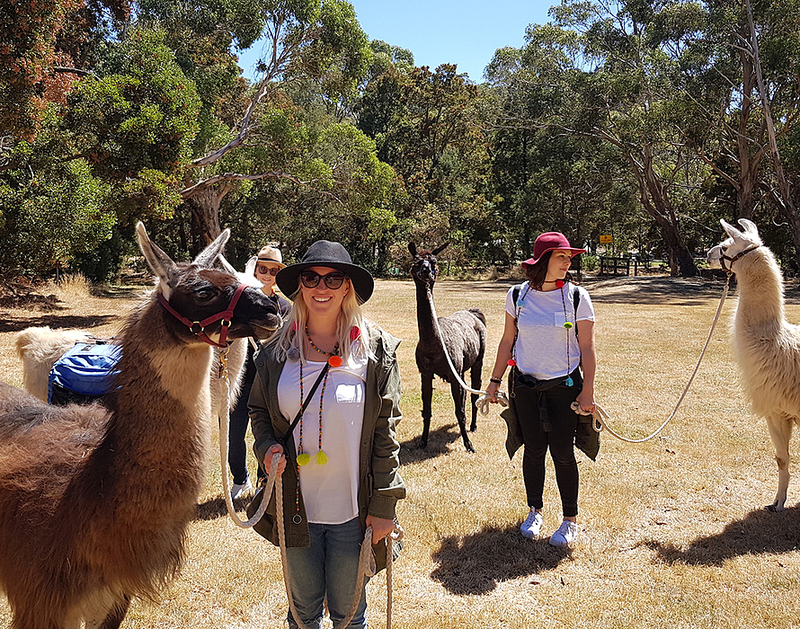 This 3 hour llama trek will take you to some beautiful and serene locations of the Macedon Ranges and Hepburn Shire carrying only a light day pack. 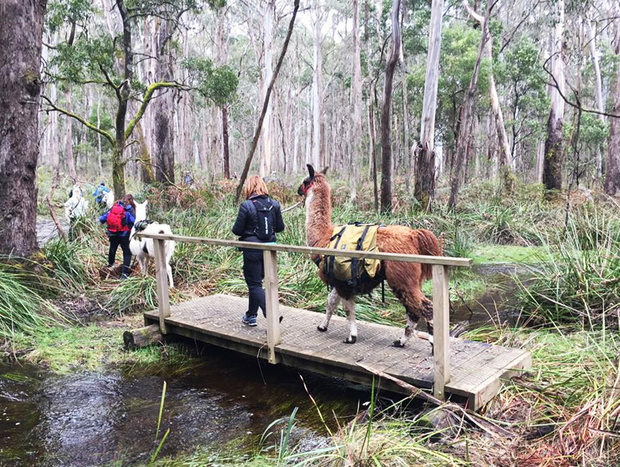 On our llama trips, you hike in comfort and yet see and experience the Australian bush in a very adventurous way. Llamas make great hiking companions, and in fact the relationship goes far beyond them simply transporting your supplies. Llamas are naturally curious and very aware of their surroundings, often the first to spot wildlife along the trail. They enjoy new sights and become very much a partner in your adventure. Llamas leave no more impact than a hiker. Horses are notorious for tearing up trails which leads to erosion. 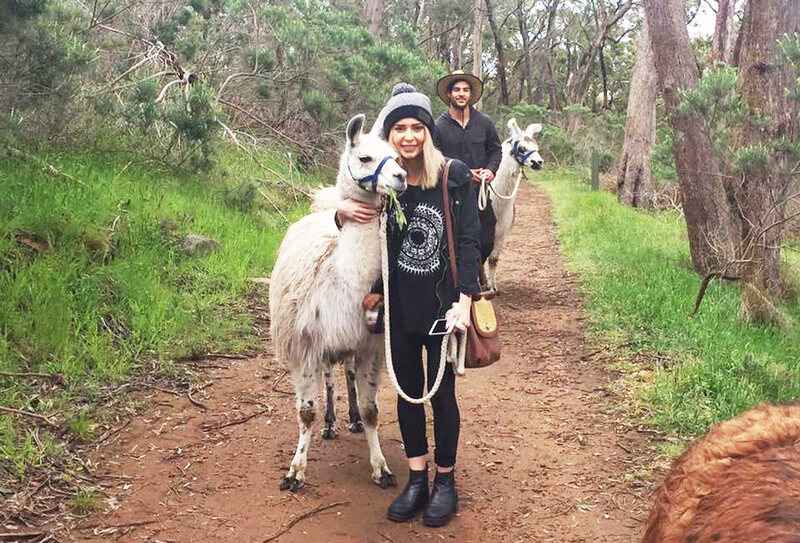 One of the great benefits of hiking with llamas is you get the same benefit as a pack horse, but without causing damage to our surroundings. Cancellation Policy: Receive a full refund (minus service fee) up until 1 week prior to the booking start date. We hope you’ll come out and experience first-hand the joy of hiking these incredible landscapes with llamas as your companions. - Maximum group size of 6 and minimum of 2 people. A simple morning or afternoon tea is provided. Good covered walking shoes and weather appropriate clothing are required. A truly wonderful experience. Mark has all the knowledge to answer any of your questions. The llamas are beautiful and are so well trained.